When you open the door to Casa Arbol you open the door to your tranquility…this house captures the natural setting surrounding it starting with an impressive tree that the house is literally built around. The impressive entry patio is highlighted with a commissioned fountain that begins your journey of relaxation with the soothing sound of water. Your eyes will be mesmerized by the lush natural landscape that engulfs the house. 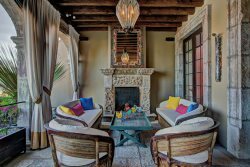 Casa Arbol is an indoor/outdoor living space, so you can really enjoy the garden spaces and multiple outdoor terraces, as well as beautiful and comfortable appointed interior spaces – the best of both worlds. It has a mix of antique and modern decor that have been blended beautifully together to make the home comfortable and interesting. All 3 of the bedrooms have ensuite bathrooms, gas fireplaces, bay windows that look out to the lush garden surrounding the house. The house is located approximately 6 blocks from the main square - where you are in the heart of the town with restaurants, stores, etc. 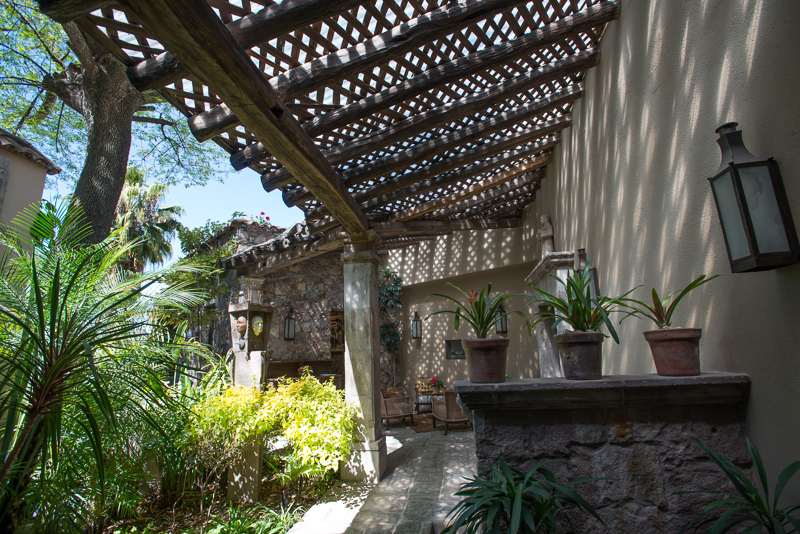 Come to relax and enjoy Casa Arbol. There is a cook, maid, and Gardner. The cook and the maid work Monday - Friday 9-2. The cook can prepare one meal a day (either breakfast or lunch) if you want to have dinner prepared the client pays her overtime. Food, gas to heat the pool, and staff tipping are not included in the rate. Please ask Premier the cost to heat the pool.